DL Model Designer provides you an easy way to create, train and evaluate complex DL Models. Each Block in the DL Model architecture can be configured with the required parameters, inputs and outputs in the right panel by clicking on the block. 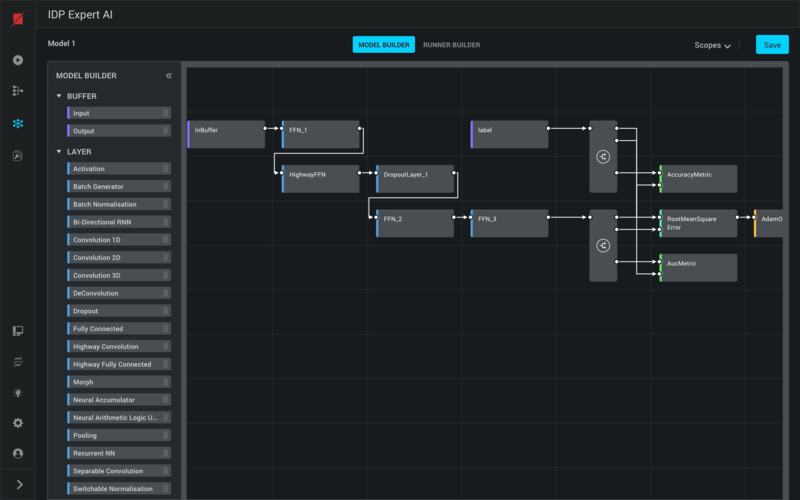 DL Runner Builder is an interface that lets you control how to execute the DL Model Architecture you built in various ways like train, prediction, evaluation, etc. Again, the canvas interface allows complex use cases such as training parts of a model while predicting on certain others parts of a model. You can build a model runner by using the runner components i.e Flow blocks and TF code blocks in a connected sequence. Through drag and drop action and building connection between the components and configuring each runner components with parameters.